The 2013 THP Invitational Series continued this past weekend with the final event of the year and it was something special. 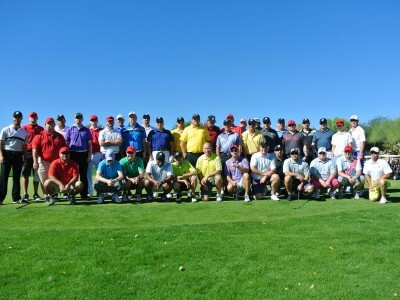 40+ THPers made their way to Las Vegas, NV for a weekend of amazing golf, unforgettable fun and one heck of a competition. Bridgestone Golf was the headliner at TPC Las Vegas and supplied prizes, goodies and a whole lot more for each of the participants that arrived in the desert. To see a recap of the 2013 THP Bridgestone Championship, and all the pictures that go along with it, click here.